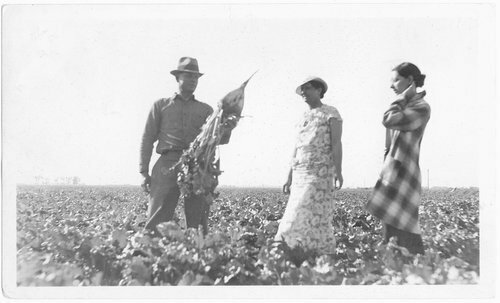 Photograph showing a man and two women standing in a sugar beet farm in Finney County, Kansas. The photograph also shows the man holding a very large sugar beet in his hand. The photograph was donated by the Garden City Chamber of Commerce.